Access to both parents is the right of your children under the law. How parents adjust and cope with a separation or divorce will have an impact on how your children deal with the huge changes in their lives, too. 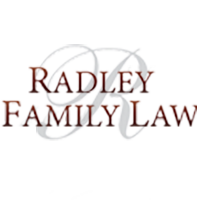 At Rachel Radley Family Law, our highly experienced family and child support lawyers help you work out child custody and access issues, and negotiate child support payments, because family is important to you and me. Child custody and access determines with which parent children will live, and how much time the non-custodial parent will spend with the kids. It also determines whether there will be joint, sole, shared or split custody. We understand the extreme sensitivity surrounding matters relating to children and handle such matters with sensitivity. We help you make the right decisions regarding your children. Be sure to read our Best Interest of the Children Guide. During the divorce, parents are making important decisions about the care of their children: How to co-parent children and, most importantly, decide where the children will live. These decisions might determine how much time each parent will spend with the child, how to care for the child, and the role each parent will play in the child’s care and upbringing. Our child custody and access lawyers help separated parents create a parenting plan. If they cannot agree on a plan, the terms will be decided in court by a judge and the expertise of a Rachel Radley family lawyer becomes vital. The issue of child custody and access must be clear and enforceable because it gives a parent the right to make important decisions about how a child will be raised. In many instances, a couple will agree to joint custody even if the children live most of the time with one parent. The custodial parent will be making decisions about the child’s education, religion, housing, extra-curricular activities and healthcare, and these decisions will be shared if there is joint custody. We have worked with many families going through divorce. Trust us to help you protect your children in this challenging time in your life. Because family is important to you and me. The amount of child support is determined by the Child Support Guidelines. If the children live most of the time with one parent, child support allows the other parent to contribute to supporting dependent children. Shared parenting may affect the amount of child support payments as children will be sharing the time they spend with each parent. Our skilled child support lawyers will help determine who must pay child support, and how much and for how long the payments will continue. The separation agreement, or Court Order, must be clear on this so that child support payments can be enforced by the Family Responsibility Office ( the “FRO”). Some parents work out a child support agreement on their own, but an experienced child support lawyer will help you navigate the Child Support Guidelines. Even if you are on good terms with your former spouse or partner, it is important to have a qualified child support lawyer review any agreement. When a couple cannot reach an understanding, a mediator can help. Then, a parent needs to rely on a child support lawyer at Rachel Radley Family Law who can review child support terms. As a last resort, a judge will issue an order regarding child support. Rachel Radley’s nine years of experience at the Ministry of Community and Social Services’ Family Responsibility Office means that she understands how to draft thorough and enforceable agreements and court orders to protect you and your children.